Hi everyone! 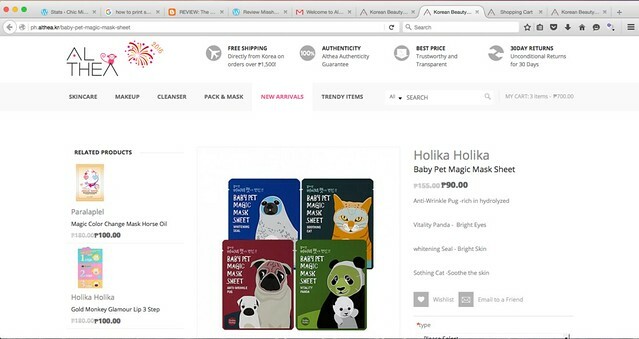 If you're into Korean cosmetics and skincare like myself, then you know how unfair it is that the Philippine tax can make these supposedly affordable Korean cosmetics and skincare's prices go up the roof. 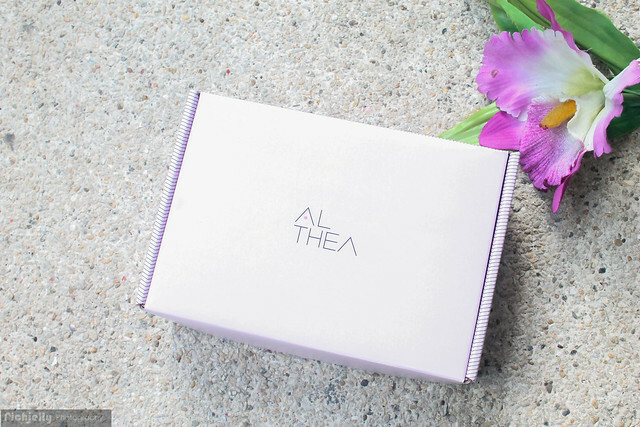 Thank goodness that Althea Philippines has come to our shores! And I'm here to share with you guys my shopping experience and later my cutesy pink box and haul. 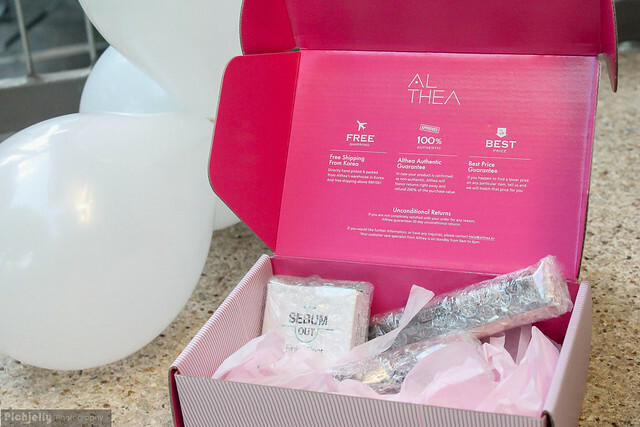 So Althea K Beauty Shop is essentially the leading Korean online shop where you can get authentic korean cosmetics and skincare at a better and reasonable price. A bit more research that I did shows that it stems out from greek origins and means wholesome. Althea also offers us pinoys the chance to shop for those Korean brands that haven't come to our shores(YET) like Innisfree, Chica-Y-Chico, Peripera, and they also have the more familiar brands like Etude House, Laniege, Banila Co. Nature republic and Too Cool For School. 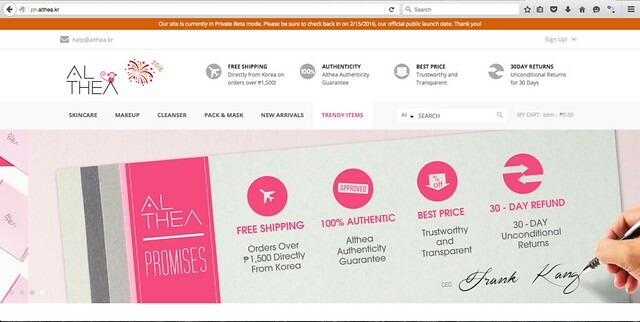 100% Authentic Korean Products- Althea gives us the guarantee that what they're selling are 100% authentic and not one of those knockoffs you see at the bangketas. They will even refund you 200% of the purchase value and honor returns right away in case the product you ordered is confirmed non authentic. Best Price Guarantee- They sell your favorite korean brand skincare and cosmetics at the best price possible! 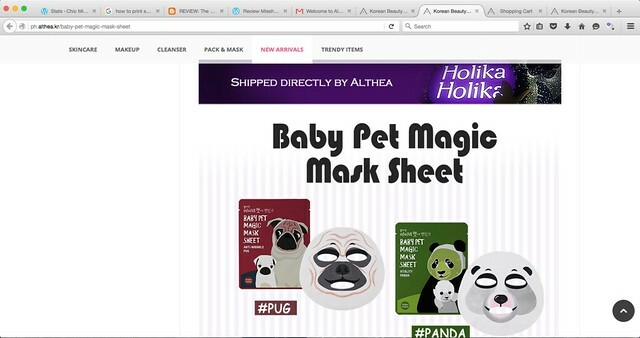 Althea even acknowledges that if you find a lower price on any particular item, all you need to do is tell them and they'll match said price for us! Yay! Unconditional Returns- The guarantee 30 day unconditional returns if and when you are not satisfied with their service or your order for any reason. 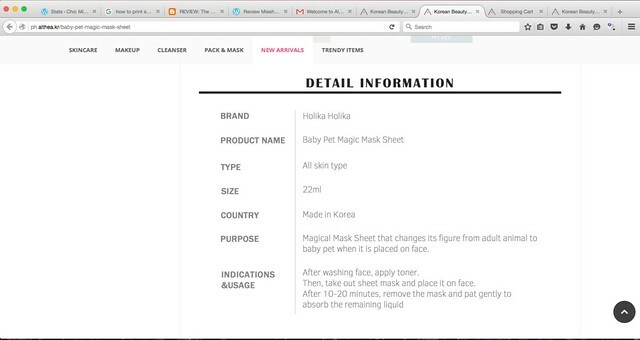 So as you can see, their website is pretty neat as they have their wares categorized according to use like Skincare, Make Up, Cleanser, Pack and Mask (which I feel are very big deals in Korea hence the special mention), New Arrivals and Trendy Items. They also have a search button and once you click on a certain category, you can also have it arranged according to price, name, brand and position or popularity. They'll also show how the product looks and in cases of the makeup, the swatches are also available for you to see. 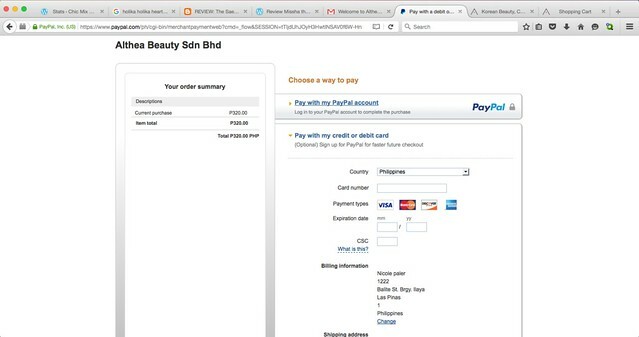 And once you check out your shopping cart, it'll redirect you to a paypal page where you have the option to pay your items via credit card or Paypal itself. All in all, the shopping experience is pretty easy and their website is clear, concise and uncluttered, which I love. My pink box arrived 6 days after I confirmed my order from them. Everything was wrapped in bubblewrap, even the box itself. Talk about protection! Is this a door to door delivery or you need to pick this in custom? 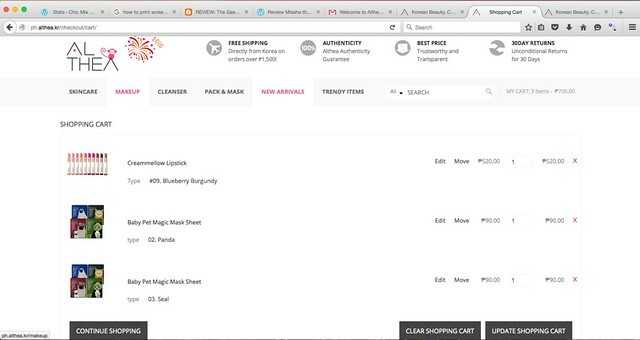 I bet my sister will definitely enjoy this site.. she's really into beauty products.. she used to save money from her school allowance just to buy these stuffs haha.. I think the Free Shipping feature is really nice and the fact that they refunded your points after you failed to get one of the items is good enough to trust this company! I would definitely try and enjoy this since I'm an avid fan of skincare products of Korea. Thank you for sharing. I received mine yesterday. I love the pink box. I actually just got 5 because I made sure to divide the points half to makeup and half to skincare. 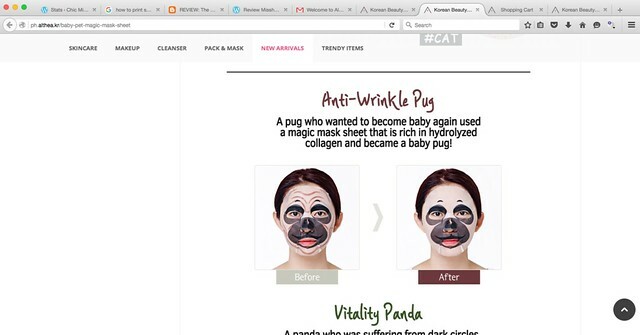 I've never heard of this site before I may have to check it out I'm seriously lacking some makeup essentials! 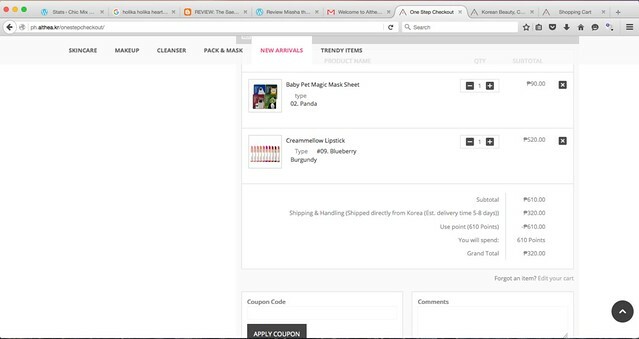 I frequent Etude House stores here in the Philippines. If the prices here at Althea are cheaper I might consider shopping online. I'm pretty sure the wife would be interested on this! Thanks for sharing. PS. i love the quality of your photos. Korean products are really famous in our country. I heard that their products are mostly effective especially on Pinay skins. However, I'm not the kikay kind so I don't spend much on beauty products but if there's something I might buy from them (if they have it), dark spots concealers.